The nine Sacri Monti (Sacred Mountains) of northern Italy are groups of chapels and other architectural features created in the late 16th and 17th centuries and dedicated to different aspects of the Christian faith. In addition to their symbolic spiritual meaning, they are of great beauty by virtue of the skill with which they have been integrated into the surrounding natural landscape of hills, forests and lakes. They also house much important artistic material in the form of wall paintings and statuary. الهضاب المقدسة التسع في إيطاليا الشمالية هي مجموعات من الكنائس وعناصر هندسية معمارية أخرى نشأت في نهاية القرنين السادس عشر والسابع عشر وهي مكرّسة لجوانب متعددة من الإيمان المسيحي. وتتميز أيضًا بجمال باهر بفعل الاندماج المرن للعناصر الهندسية في المناظر الطبيعية المجاورة – تلال، وغابات وبحيرات. وهي تحتوي على عدد كبير من التحف الفنية الهامة بشكل رسوم جدارية وتماثيل. Девять ансамблей Сакри-Монти в северной Италии – это группы часовен и других архитектурных объектов, созданных в конце ХVI-ХVII вв. и посвященных различным аспектам христианской веры. В дополнение к своему символическому духовному значению, эти ансамбли, благодаря умелому включению в окружающий холмистый озерно-лесной ландшафт, очень живописны. Они также содержат много ценных художественных произведений в виде стенных росписей и статуй. Formado por nueve Sacri Monti (montes sacros) de Italia del Norte, este sitio posee conjuntos de capillas y otras edificaciones de los siglos XVI y XVII dedicadas a la celebración de distintos aspectos del cristianismo. Además de su significado espiritual y simbólico, el sitio es de una gran belleza por la maestría con que se han integrado los elementos arquitectónicos en el paisaje natural circundante formado por colinas, bosques y lagos. El sitio cuenta también con una multitud de obras de arte importantes, en particular pinturas murales y estatuas. Het fenomeen van de 'Sacri Monti' (heilige bergen) ontstond begin 15e en 16e eeuw toen men bedevaartsplekken in Europa wilde creëren als alternatief voor de heilige plaatsen in Jeruzalem en Palestina, waarvan de toegang steeds moeilijker werd voor pelgrims door de uitbreiding van de islamitische cultuur. De negen Sacri Monti in Noord-Italië bestaan uit groepen kapellen en architecturale elementen uit de late 16e en 17e eeuw, gewijd aan verschillende aspecten van het christelijke geloof. Ze hebben een symbolische spirituele betekenis en zijn van grote schoonheid door de manier waarop ze zich mengen met het omringende natuurlandschap. Ze herbergen belangrijk artistiek materiaal, zoals fresco’s en beeldhouwwerken. The property “Sacri Monti” or “Sacred Mountains of Piedmont and Lombardy” consist of a series of nine separate complexes located in the mountains of Northern Italy (Varallo, Crea, Orta, Varese, Oropa, Ossuccio, Ghiffa, Domodossola, and Valperga). Each complex includes a number of chapels and other architectural features, created in the late 16th and 17th centuries and dedicated to different aspects of Christian belief. The phenomenon of Sacri Monti began at the turn of the 15th and 16th centuries with the aim of creating places of prayer in Europe as an alternative to the Holy Land (Jerusalem and Palestine). At that time, access to the Holy Land was becoming more and more difficult for pilgrims owing to the rapid expansion of Muslim culture. Initially, three different locations were proposed for the “New Jerusalem”: Vareallo in Valsesia, Montaione in Tuscany, and Braga in Northern Portugal. Locations were selected based on similarity of topography to the Holy Land. This phenomenon took root especially after the Council of Trent when the Church adopted the additional role of combating the influence of the Protestant Reformation. The first example of this phenomenon in Italy was the Sacred Mountain of Varallo, in 1480. Supported by the Bishop of Milan and following ideas that developed from the Council of Trent, it became a model for other Sacri Monti that followed and was dedicated not only to Christ but also to cults devoted to the Virgin Mary, saints, the Trinity, and the Mysteries of the Rosary. Each “sacro monte” began with certain fundamental rules and standards for typology and architectural style but evolved with their own unique art and architecture. Each has a distinct theme or role. At Orta, for example, the complex is dedicated to St. Francis of Assisi with 21 chapels and a garden in a layout essentially unchanged since the 16th century. The Sacro Monte of the Blessed Virgin of Succour at Ossuccio contains 14 Baroque-style chapels on the slope of a mountain leading to a sanctuary at the summit. In the early 18th century, Michelangelo da Montiglio a monk, developed Sacro Monte of Belmonte, Valperga Canavese to recreate Biblical sites from the Holy Land with a circuit of 13 chapels symbolizing the principal incidents in the Passion. In all of the Sacred Mountains, the greatest Piedmontese and Lombard artists of the period created paintings and sculptures representing the most edifying episodes of the life of Jesus, Mary, or the Saints, constituting a remarkable artistic heritage. Criterion (ii): The implementation of architecture and sacred art into a natural landscape for didactic and spiritual purposes achieved its most exceptional expression in the Sacri Monti (“Sacred Mountains”) of Northern Italy and had a profound influence on subsequent developments elsewhere in Europe. Criterion (iv): The Sacri Monti (“Sacred Mountains”) of Northern Italy represent the successful integration of architecture and fine art into a landscape of great beauty for spiritual reasons at a critical period in the history of the Roman Catholic Church. The site includes all the necessary elements to express its exceptional value and, in particular, both devotional architecture, characterizing the site and context in which they are inserted. An essential feature of the Sacri Monti is that they preserve intimate links with not only the natural landscape but also the neighbouring human communities. No threats to the sites have been identified. The original symbolic layouts of the chapels, within the natural landscape, are still unchanged, retaining authenticity of form, design and setting. Moreover, traditions and authenticity of function have been retained as all the nine complexes are preserved as places of Christian pilgrimage, prayer and reflection, the purposes for which they were originally built. Whilst modifications were carried out to certain ensembles and individual buildings during the 17th and 18th centuries, the chapels have largely retained their integrity in terms of materials and craft. Systematic conservation works of these groups of monuments started from 1980. All the restorations conform fully to modern principles of conservation and restoration theory. Attention was focused on the interiors and on the restoration of the paintings and sculptures. The nine complexes that form the Sacri Monti are found in several provinces across the two regions of Piedmont and Lombardy. Together these complexes cover a total of 90.5 hectares and each is protected by a buffer zone encompassing a total area of 721.90 hectares. The property is subject to a series of Protection Acts which operate on several levels: national, regional and local. 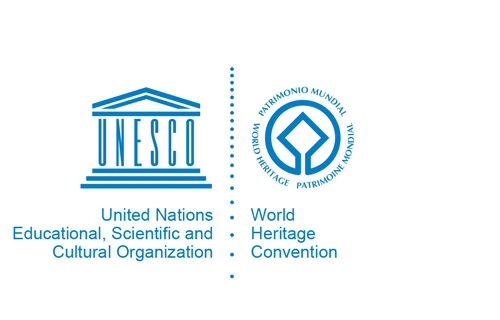 The national Law for the protection and preservation of the cultural heritage (D.lgs 42/2004) oversees every intervention relating to cultural heritage through the peripheral offices of the Ministry of the Cultural Heritage and Activities. The intervention on urban and country planning is regulated by the regional government of the territory. The seven Sacri Monti located in Piedmont are regulated by the regional Law on Parks and Natural Reserves integrated with the urban plans of the surrounding municipalities. On a local level, the work of religious orders (Friars Minor and Rosminian Fathers) and the Diocesan Curiae is very important in terms of the religious activities and traditions related to the Catholic Church that continue at the Sacri Monti. A process for coordination has been put in place to manage the various groups involved in the site. The management system is formed by two bodies, organized on two levels. The first, the Permanent Conference, includes the various organizations with responsibilities relating to the management of the site (State, Regions, Municipalities and representatives of the Church). It provides coordination of technical and scientific activities and has a role of political guidance. The second, the Permanent Operative Working Group has an executive role and is composed of a fewer number of subjects. Moreover, this group is in charge of the definition of the technical and operating guidelines and the general management programs, together with the budgeting, auditing, monitoring and reporting activities on management and preservation. Besides these two structures there is a Permanent Secretary which is in charge of the programming and execution of different management tasks, and of the Public Relations activities of the Permanent Conference. The management system is completed by the standing Permanent Centre for Studies and Documentation, dealing with research and information retrieval for the property.